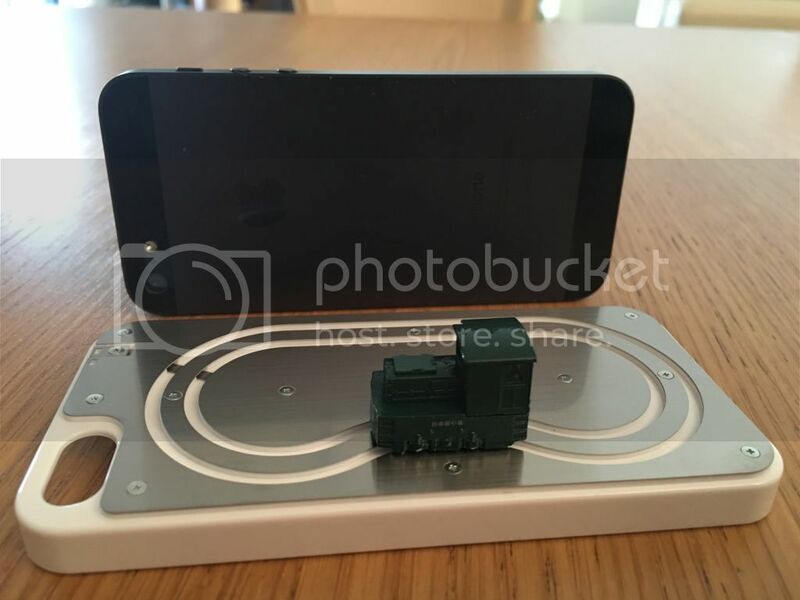 When you are starved of space, money and time or if you want to do in a different manner, try a micro layout on a n Iphone case. In paralell to my layout sidi fontana, I want to explore another scale and another way to do. The layout is at n scale. In the past I have done also a pizza layout but at gn15 scale. The Iphone case is from M. Kobayashi, the locomotive is a japaneese one (7 tons) from TGW. I will add a building as the backdrop, I will do snow and the layout will be located in Japan. it's a nice idea too. A few years ago there was a similar 'layout' on a credit card. Would imagine the loco is similar to that one. Seem to remember seeing it on a thread here, but google search can not find it. It was a similar shape with a palm tree on it I think. dingbat2d wrote: I saw these on the Japanese modellers contingents stall at ExpoNG, Swanley UK last October. I really regret not buying one now. If you want to buy it I can give you the email of the Japanese guy.